More information is available in the articles section at the Digitalfire Reference Database. How do black, red and yellow iron additions compare in a glaze? 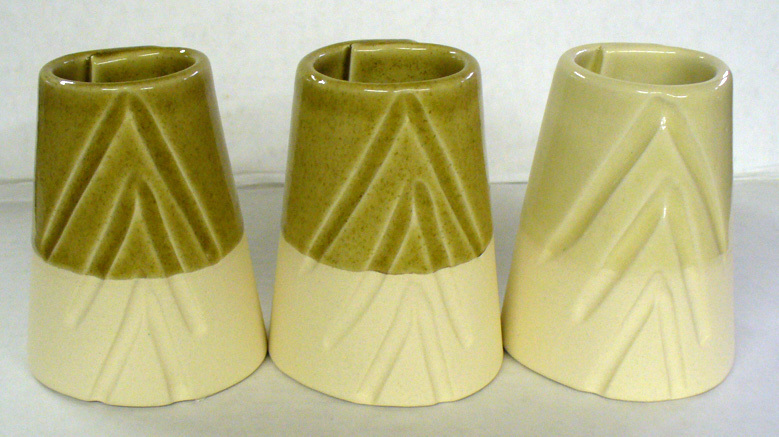 Example of 5% black iron oxide (left), red iron oxide (center) and yellow iron oxide (right) added to G1214W glaze, sieved to 100 mesh and fired to cone 8. The black is slightly darker, the yellow has no color? Do you know why?